Home » What is UX design? We often get asked what UX design really means. In this article we outline what it is and why it’s so important to get it right. UX design refers to ‘user experience’, a customer orientated way of designing products. In our case at Blend, it primarily encompasses the User Interface (or UI) design of applications and websites, which is critical for the success of the software or web-based platform. UX design, sometimes also referred to as user-centred design, is a dynamic area of graphic design, requiring understanding and research around the end user and their ease and pleasure of use of a website, mobile app, desktop app or physical product. A UX designer requires the sufficient level of technical skill and knowledge to deliver an intuitive interface for a product, and consider the user’s accessibility to the different ways they will need to interact with the product when it is launched and over time. The ultimate goal of UX design is to increase customer satisfaction and loyalty through ease of use and by providing a pleasing interaction with a product. This statement can be demonstrated by looking at the design of the iPhone and IOS software from Apple or the Facebook website interface. Both companies have invested in ensuring that their customers can easily interact with their complex products, while maintaining their brand values and styles. What does UX design look like? Different people have different ideas as to what UX design is, and what UX designers do. This is not surprising, since user experience encompasses everything that affects the user’s interaction with the product, including who the end user is likely to be. What tends to be agreed upon is that UX designers must ask a wide range of questions in the course of the design process, showing understanding and empathy with the user’s ultimate needs at every stage of the design process, and use their answers to shape the end product. This will include wireframe layouts, testing prototypes, and flexible, continuously adaptive product development. However it is vital that the UX design process does not overtake the aim of the product: a user-friendly website that people love to use, but which does not align with the client business’s needs, or deliver the service the business intended for it, is of no use at all. Similarly, without UX as a consideration, the user may be confused, irritated or plain baffled by the interface produced for them. The user experience is inextricably linked to the user interface, but it also affects the adoption and overall success of the finished product. So why is UX design so important? Of course, it is important that the end user likes and can easily use the product. As well as this critical factor, UX designers must use a process that is analytical and methodical – almost scientific, in their approach. UX design requires continuous research, analysis, measurement and testing, and applying the results of this process to capture how people will use and interact with the product. UX design, usually has little do with visual design styles, though of course the two work closely together throughout the design process. 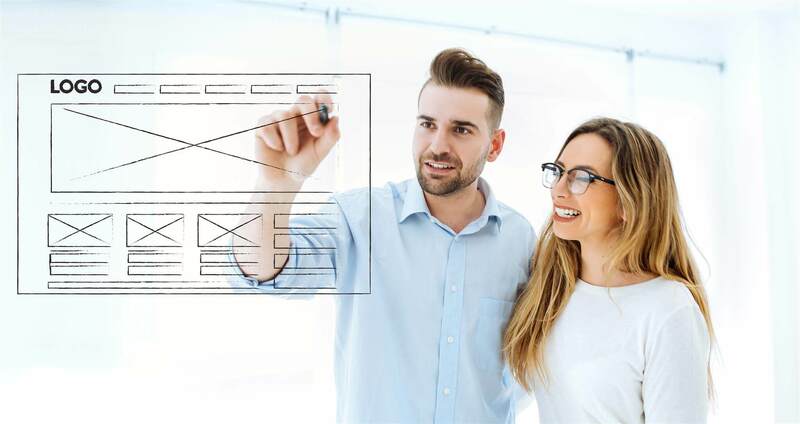 The difference is that UX design is the method by which a product is accessible and pleasing to operate, effectively establishing the backbone, or nuts and bolts, behind the visuals. Great UX design requires consideration of different scenarios, thorough user testing and an open mind to consider questions that would occur to the end user as they operate the product. These 7 steps are quite straight forward, however it takes technical experience and a design flair to create a winning UX. At Blend we have helped organisations of all sizes to design their digital products so that customer adoption and satisfaction is guaranteed. Get in touch with us if you would like to discuss how we can help with your UX design project.